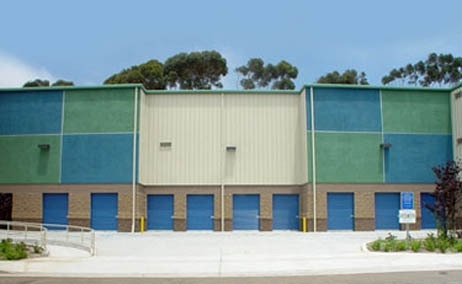 Self Storage San Diego Features Includes: State of the Art Facility 24 Hour Security Monitoring Electronic Gate Access Individually Alarmed Units Access 7 Days A Week Courteous On-Site Managers Easy Access Dollies & Carts Available High Ceilings FREE MOVING TRUCK* (*See Manager for Details) We Sell Packing and Moving Supplies Military Discounts Month to Month Rentals No Deposit Required Online Bill Payment Available Major Credit Cards Accepted Climate Controlled Units Available **SPACE SIZE APPROXIMATE: Space sizes are approximate and for comparison purposes only. Spaces may be smaller than indicated in advertising or other size indicators. 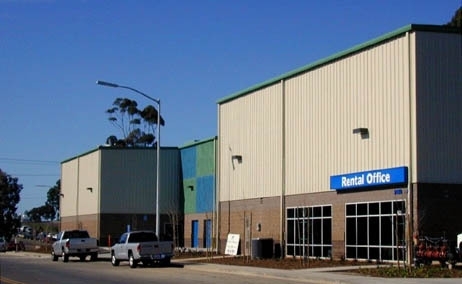 No expressed or implied warranties are given by Owner, Owner's agents or employees as to the suitability of the storage space for Occupant's intended use. Owner disclaims and Occupant waives any implied warranties of suitability or fitness for a particular use. **Pricing and promotions are subject to change. Promotions are offered only on selected units subject to availability and for new customers only. Other restrictions, taxes, and fees, including an administrative fee and insurance, may apply. See contract for full details. Not available on transfers or additional spaces. Reservation required to guarantee price. Online pricing available only for online reservations and rentals. Great value and a nice unit. Good customer service. While I work to sort through all the boxes of my dad's stuff, it's nice to know that they are stored in a clean and nice place. Clean and quiet facility with easy access. Staff was welcoming and helpful. Appreciate the military discount. Customer Service was great. Staff was very helpful. Very clean, amazing customer service! The staff was extremely helpful and friendly and definitely made moving less stressful! The paperwork did not take long and I feel the prices are very fair compared to other places. Plus if you are a student you might be eligible for 10% off every month like I was. Nicholas M. Nelson "Poodle Glam"
the service i received over the phone and in the office was superb. very professional, yet laid back and friendly. a little expensive when you tack on sum hidden fees, but it is what it is. very thrilled with my space, just need to utilize it to the best of my ability. however, my only complaint is their lack of trash receptacles on the site. i attempted to dispose of a few thing in the dumpster on the property and was apprehended and told that this is a storage facility, not a dump. and , i agree with that. but, in order for there to be a clean premises, proper trash receptacles should be provided. also, i think an extension of the closing time is in order. 9 pm is far to early. i think 11 pm is more reasonable. some people work all day, go home ,cook dinner and clean up; then they have to rush and scramble to beat the alarm. a small extension in the time would defiantly be more convenient for many customers. other then those 2 discrepancies everything else is peachy keen. I feel good about storing my items here! This seems like a very modern, secure building. The staff have also been very helpful. Reserving and moving into a unit was fairly easy. I hope it continues to go smoothly until I'm ready to move my items out! 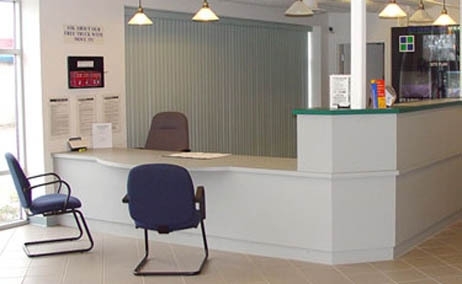 Clean, Convenient, and Courteous staff at Affordable Prices! I have referred people to this storage because it was the cleanest place I've seen. The staff is very friendly and do alot to make your move easier and keep your stuff safe. It was hard to believe their prices were inexpensive with such a nice facility. Not to mention I got a discount! They are right next to the I-5.